Smart homes are enabled by a variety of connectivity protocols or technologies besides WiFi. Knowing what these connectivity protocols are can help you get what you want in order to make your home a smart one, as well as introduce you to a variety of IoT devices. Let’s take a look at what exactly a ‘connectivity protocol’ is, as well as which are most popular in India. So, what are connectivity protocols? Simply put, connectivity protocols are the modes of communication used by smart home appliances and devices. They facilitate dialogue between you and your devices, as well as between the devices themselves. Some popularly used protocols today are WiFi, Cellular, ZigBee, and Z Wave. Most smart homes have a variety of appliances, and therefore must deal with various connectivity protocols, none of which can directly interact with your remote. This is where the hub comes into play, acting as a translator of sorts, between your remote and appliances. The hub also plays a vital role in assisting your smart appliance to communicate with other devices, despite having different protocols. Why not just go with WiFi? WiFi offers high data transfer speed, yet it isn’t really necessary for smart appliances such as lights, security cams, etc., due to their low bandwidth requirements. However, there are other protocols that exist, which are more specifically designed to work with smart appliances. WiFi is one of the most popular online connectivity protocols today, and its network is used by most modern devices such as smartphones, tablets, televisions, and more. Having a range of up to 25m, WiFi boasts a high data transfer rate which makes it ideal for large size data transfers– like streaming Netflix videos. This high performance comes at a cost however, as extended usage of WiFi will drain the battery life of a device very quickly. This is probably why many of your smart home appliances do not include WiFi compatibility. Bluetooth has a short range of just 10m, and is primarily used by mobile handsets, tablets, headphones, locks, etc. Bluetooth is a popular option of wireless communication, but it is limited by very small data transfer capabilities. A major advantage that bluetooth has over WiFi, is its low battery demand, due to which it is made compatible with smart security systems and other appliances. The cellular connectivity protocol pertains mainly to phones and other devices that make use of phone calling features. Cellular network protocols have moderate to high data transfer, and are the most commonly used mobile phone facilitators in the world. Cellular networks such as 2G, 3G and 4G are among the most widely used, for various data transfer applications and processes. Having been in the market since 2005, Insteon has gained a lot of credibility as a reliable and user friendly protocol service. All Insteon products are fully compatible and interoperable, thereby making sure that you won’t have to go through any complicated installation hassles. The technology contains features such as error detection, which significantly reduces the risk of faulty functioning of appliances. Suffice it to say, Insteon is a fast and affordable network, which is simple enough to understand even for a tech novice. There are however, certain drawbacks, as Insteon is not compatible with many devices (below 250), thus limiting your options considerably when it comes to appliances. ZigBee and Z Wave have both been in the market since the early 2000’s, and are established as reputable and reliable protocols. They are both low bandwidth, low cost and battery efficient. Both these protocols cater to wireless home automation, and work primarily with smart window and door sensors, and are also compatible with a large number of brands, such as Samsung, Philips, and Belkin. Most experts would recommend Z Wave for first time buyers.This is because unlike ZigBee, Z Wave offers seamless communication between all its devices, regardless of type, brand or version. ZigBee is a bit more specific in its approach, and you will have to have in-depth knowledge regarding the various compatible devices and their ability to communicate freely. Thread is more recent addition to the protocol market, and is most certainly on the rise. The company was formed by seven individual members, including Google Nest Labs and Samsung Electronics. 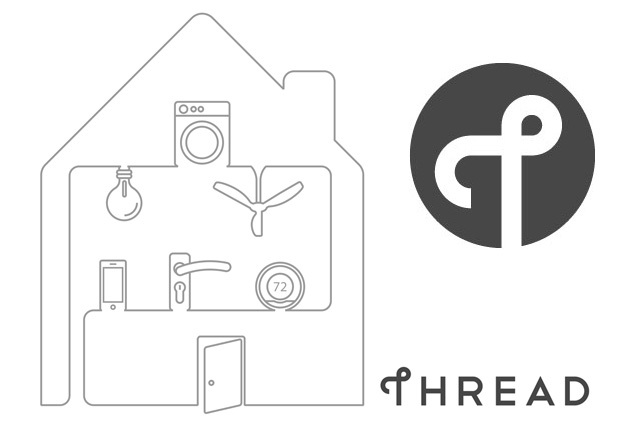 Having ventured into the temperature-control as well as home security sectors, Thread seems to be quite promising. Though it’s largely not available in India, the brand is definitely one to look out for. Here’s a compelling question: Is ZigBee the future leader of connectivity protocols? In September 2017, Amazon launched the successors to its flagship smart speaker Echo– the all-new Amazon Echo, and Echo plus. The Echo Plus has received many internal upgrades, which also include an in-built hub feature. And guess what? The hub is made ZigBee-friendly, thus making it directly compatible with whole bunch of smart devices that ZigBee provides for, such as Belkin, Ikea, SmartThings, and others. For novice smart home aspirants and experts alike, this new collaboration makes for a great buy, and is a sure boost for ZigBee’s business. Knowing a little about each connectivity protocol and knowing its application can help you easily kickstart the process of turning your household into a smart one, right? If you’re looking for more information on connectivity or various smart home enablers, feel free to contact us and we’ll be happy to help. Just how ‘remote’ is the idea of home automation?